The historic Paris Agreement on climate change has added wind to the sails of already accelerating climate-smart investment markets. The year 2015 was another record-breaking one for renewable energy with nearly $350 billion invested, more than doubling the amount going to coal and gas-fired power generation. So, where are the most promising investments and what do the governments need to do to unlock private finance? To answer these questions, IFC—a member of the World Bank Group and the largest global development institution focused on the private sector in developing countries—analyzed the national climate commitments made in Paris by 21 emerging market economies where we expect to see major investment in infrastructure and climate-smart solutions. If these countries make good on their ambitions to scale up solar and wind energy, increase green buildings, put in place cleaner transport, and implement waste solutions—there is a $23 trillion investment potential between now and 2030. Let’s consider two sectors that show great promise. Renewable energy markets are set to accelerate. A total of 138 countries have prioritized the sector in their climate plans. Profitable investment opportunities are expected to be on the rise in countries such as Panama, where IFC is helping to finance the Penonome wind farm, a 215-megawatt plant that will be Central America’s biggest. As governments move to implement their renewable energy targets post-Paris, we can expect more Penonome-type investments. 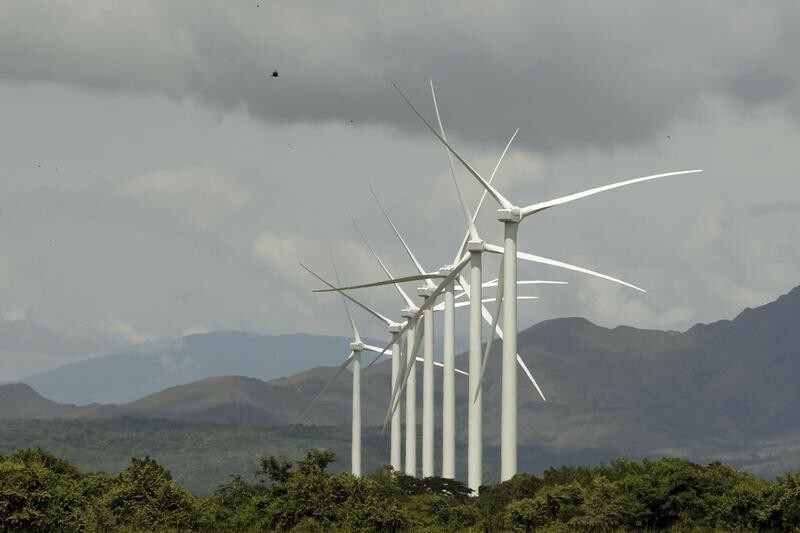 Wind turbines are pictured at a wind farm in Penonome, Cocle province, Panama, November 10, 2015. Energy efficiency investments are also a growing opportunity, with 110 countries targeting investments in cogeneration, efficient appliances, and green buildings in their Paris commitments. One example of an energy efficiency investment that we can expect to see more of is IFC’s China Utility Energy Efficiency programme, which provided Chinese banks with a risk-sharing facility and advisory services to help them implement energy efficiency investments. The programme, supported by the Global Environment Facility, started in 2006 with two Chinese banks and has grown to drive 11 billion Chinese yuan ($2 billion) in finance through local banks, including in the country’s poorest regions. These investments have helped prevent more than 22 million tons of greenhouse gas emissions. And as China urbanizes further, we estimate $2.1 trillion in new green buildings investments by 2020. Many similar investments in other countries are also possible. First, turn climate targets into long-term clean growth strategies with supportive policies and budgets. This means integrating commitments into national development strategies and establishing clear and consistent policies such as carbon pricing. Governments should integrate climate considerations into key sector policies such as energy and agriculture by removing inefficient production or consumption subsidies and aligning tax and fiscal policies. Countries can use innovative support mechanisms like reverse auctions and competitive procurements. And IFC, and the World Bank Group as a whole, stand ready to help. One example is the Bank Group’s Scaling Solar programme that provides governments with a template for procuring large-scale solar photovoltaic power through competitive auctions. Private sector energy developers can have confidence in a predictable set of specifications and legal documents, even in new markets. Standardization brings speed and efficiency. Dozens of leading energy companies participated in the programme’s first competitive auction in Zambia, which yielded the lowest price for solar power in Africa’s history. Second, green policies alone are insufficient to unlock private sector investment. Countries also need to strengthen competition and promote investment and capital flows. Effective and transparent business taxation, regulation, legal enforcement of property rights, frameworks for public-private partnerships, and proactive investment policies all help to build investor confidence. In Jordan, the government is transforming its energy sector by complementing its renewable energy law with feed-in tariffs, 20-year power purchase agreements with standardized contracts, and a 10-year income tax holiday with a lower tax rate. The government also provided a sovereign guarantee to back-stop the buyer’s payment obligations. This mix of policies, processes, and incentives resulted in the largest private sector-led solar initiative in the region—the 117 megawatt, $290 million Tafila Wind Farm, supported by an IFC investment of $69 million—that is being followed by 12 solar projects with power purchase agreements totaling 190 megawatts. And third, use limited public finance in a catalytic way. In some cases—where there are no market-based, commercial solutions available—IFC packages small amounts of concessional funds provided by development partners with its own resources and mobilizes private sector commercial funds to finance projects that we expect to have high development impact and a demonstration effect. Most of these are first-of-a-kind projects. IFC uses a set of principles to ensure a disciplined, targeted, and strategic approach to blended finance, which includes minimum concessionality and a time-bound support to the sector only until it can establish a commercial track record. Many of these investments have been successful in creating a market for climate friendly investments. Over time, when a market is established, blending is no longer necessary. Noteworthy examples include the $4 million in concessional finance that helped bring some of Thailand’s first solar PV farms online in 2011. And in Mexico, $15 million in concessional financing helped one of the first privately financed wind farms in the country reach the finish line, demonstrating market feasibility to investors. The $23 trillion climate investment opportunity will not happen overnight. It will require leadership from government, business, and development finance institutions and focused dialogues. But by working collaboratively, between the public and private sectors, we can strive to keep global warming under two degrees Celsius while also creating profitable new markets—and employment opportunities.